With the start of a new year comes the urge to improve those areas of our lives that have been feeling less than superb - and our homes are no exception. This year, resolve to spruce up your home's curb appeal so that you love it as much as you do its interior while also increasing its market value. Painting the front door of your home can totally transform the look and feel of a house. 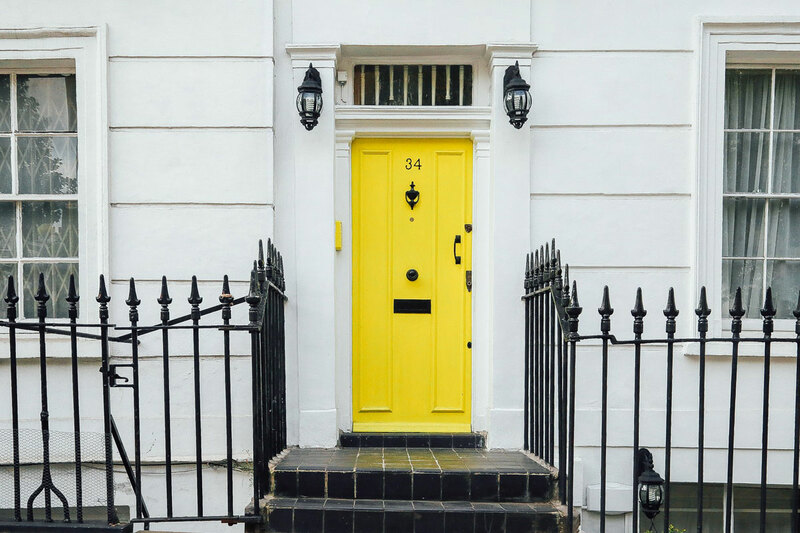 Whether you choose a moody gray, a bright yellow, or a funky pink; the color of your front door sets the tone for what's to come inside. Small details like updating your mailbox or adding scones to frame your door shouldn't be overlooked. These details should pay homage to the style of your home, while still reflecting your personal taste. Landscaping your yard doesn't have to feel like a daunting task, it can actually be quite simple. Invest in plants indigenous to your climate for easy, year-round maintenance. Try adding potted plants that can be moved around and covered for unpredictable Texas weather. Bring life back into your home’s exterior with a good, old-fashioned power wash. From the gutters to the brick to the sidewalk, power washing is essential in maintaining your home’s curb appeal and preventing the growth of mold, mildew, and algae. You can rent a power washer from between $35 to $150 a day, and one good wash will last for years to come. *When power-washing be mindful of your home's exterior makeup and paint. The wooden elements of your home are especially susceptible to the elements, so take extra care to keep them in tip-top shape. Updating rotting shutters or giving your home a fresh coat of paint will make your house look new and fresh.